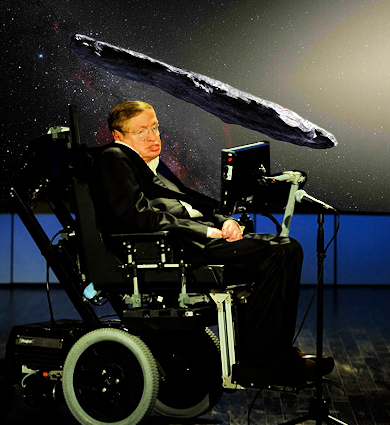 Hawking is leading an investigation into whether the first object ever to arrive from OUTSIDE our solar system is a spaceship from an alien civilisation. Is 'Mystery Object' a Space Weapon? Stephen Hawkings died in the 90's. The man presented to the world as him is a crippled nonverbal imposter. Anything contributed to him has been authored by either his wife or his daughter.Both are physicists at Cambridge. Only an idiot would believe a man with ALS could live into his 70's..